Hey everyone! I have another new home for you all today. This one is actually my first starter. I liked the shotgun style of the houses that Maxis built, but I thought they were a bit drab. This changes that. Nice and cheery, your sims will forget all about having the fix the appliances all the time. 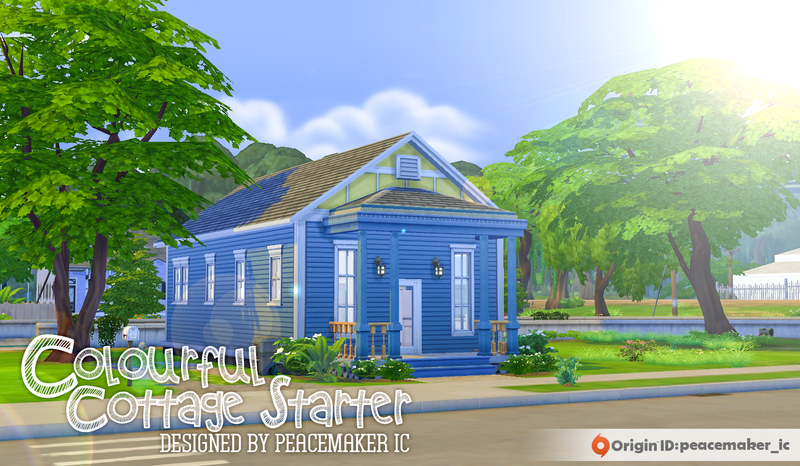 You can find the home in the gallery by searching for my origin ID peacemaker_ic, or the tags #PeacemakerIC, and #SimsationalDesigns, #ColourfulCottage.